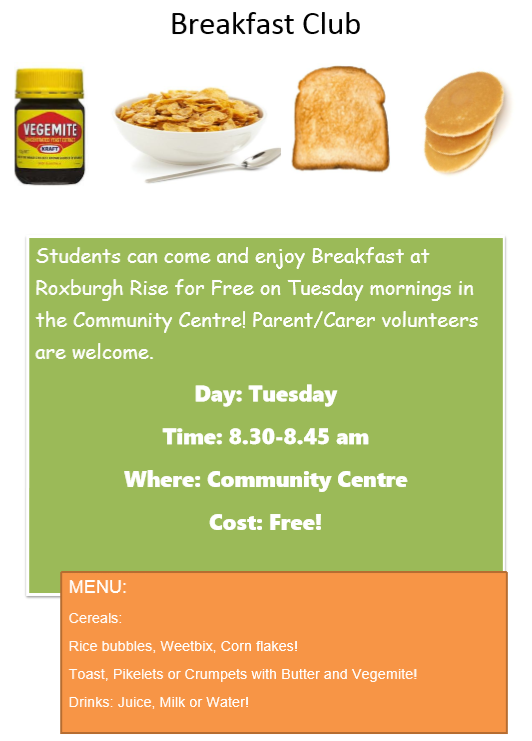 Supported through a wonderful community group and their donations, the breakfast club runs once a week for students at Roxburgh Rise Primary School. Research shows that 1 in 4 (1 million) Australian children skip breakfast daily. Children reap nutritional benefits from attending Breakfast Club which increases their concentration levels, preparing them for a day of learning. The program also helps to establish healthy eating habits which children will carry into adulthood.